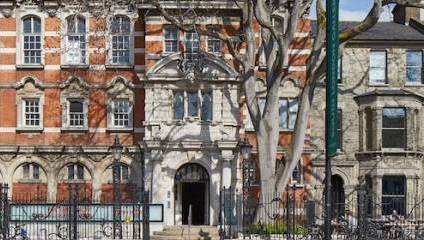 The South London Gallery has been a cultural hub in Camberwell, South East London, since 1891. It was opened as the South London Fine Art Gallery and Library, with the mission of bringing art to the South of London and moreover, for that art to be free. The gallery aims to host new work by established and up-and-coming artists, both from the UK and internationally. They also put an emphasis on newer work, so that what they show is inevitably contemporary and relevant, not necessarily a common practice in an age of retrospectives. They have hosted a wide range of work, from sound installations by famed Camberwell resident Tom Phillips, to a group show ‘The Place is Here’, hosting pieces from black artists working in the 1980s. This exhibition included well known names such as john Akomfrah and Mona Hatoum, but also showcased pioneering work by Brixton Art Gallery Archive and Ceddo Film and Video Collective. They currently show a series of paintings by British-Kenyan artist Michael Armitage, exploring the relationship between myth, colour and the history of painting itself. Every day at 1pm they offer a free tour of whatever show is on at that time, which means you can hear about the exhibition from one of their staff and explore its inception and themes in more detail. The gallery often put on talks and films that explore themes brought out from their main exhibition, as well as a range of educational programmes and courses for children and young people. They also champion access and participation in arts, particularly encouraging people from the local area. In this, the gallery shows the importance of having a gallery embedded within the local community. They run for example: free family workshops every Sunday in the Clore Studio; creative play activities on Sceaux Gardens housing estate; artist-led projects on other local estates; ongoing provision for school visits; and a BBC Children in Need-funded programme for looked-after children. The façade of the building, made from Portland stone and hand-made pressed bricks, does not belie its contents. The narrow entrance hall leads onto a large gallery space, a wide square room with an extraordinarily high ceiling, where the main exhibitions are held. In 2010, additional buildings were opened directly next door, including new smaller-scale galleries, a café, gardens, and an education and events studio. There is also an excellently stocked bookshop selling art books as well as offerings from the exciting new wave of small presses such as Fitzcarraldo. In 2015 it was announced that the gallery were planning to expand their space and move into Peckham Road Fire Station. This new cultural centre and art space is due to open in 2018, providing additional exhibition space for this growing gallery. The South London Gallery are doing invaluable work, particularly in their championing of young and up and coming artists and their continued work for greater access to arts education. Though Peckham and Camberwell may be famed for their bars, cafes and restaurants rather than visual arts, this exciting new space is well worth a visit. South London Gallery is in Camberwell. Entrance free.